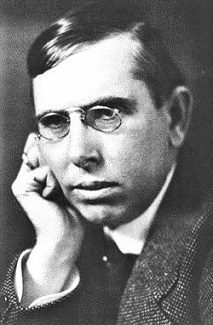 This entry was posted in biographical (including posts with fragmentary but potentially useful biographical information about Dreiser, his family, or associates) and tagged シオドア・ドライサー, シオドア・ドライザー, シオドー・ドライサー, シオドー・ドライザー, セオドア・ドライサー, セオドア・ドライザー, теодор драйзер, Theodore Dreiser on May 23, 2017 by Roger W. Smith. Particularly appealing — indeed, gratifying — to me was the quality of the print. I have seen the 1931 film several times, and the image was always grainy. The host for the program, Ben Mankiewicz, got most of the details about the circumstances associated with the making of the film — and Theodore Dreiser’s objections to it — right. But, at the end of the program, he made a serious factual error. He stated that Chester Gillette’s mother sued Paramount. This is not true. Also see below a PDF file of a New York Times article dated November 9, 1934 about the settlement of the suit. This entry was posted in An American Tragedy, film adaptations and tagged An American Tragedy film, An American Tragedy film 1931, シオドア・ドライサー, シオドア・ドライザー, シオドー・ドライサー, シオドー・ドライザー, セオドア・ドライサー, セオドア・ドライザー, Minerva Brown, теодор драйзер, Theodore Dreiser on May 18, 2017 by Roger W. Smith. This entry was posted in photographs and tagged シオドア・ドライサー, シオドア・ドライザー, シオドー・ドライサー, シオドー・ドライザー, セオドア・ドライサー, セオドア・ドライザー, теодор драйзер, Theodore Dreiser on May 11, 2017 by Roger W. Smith.